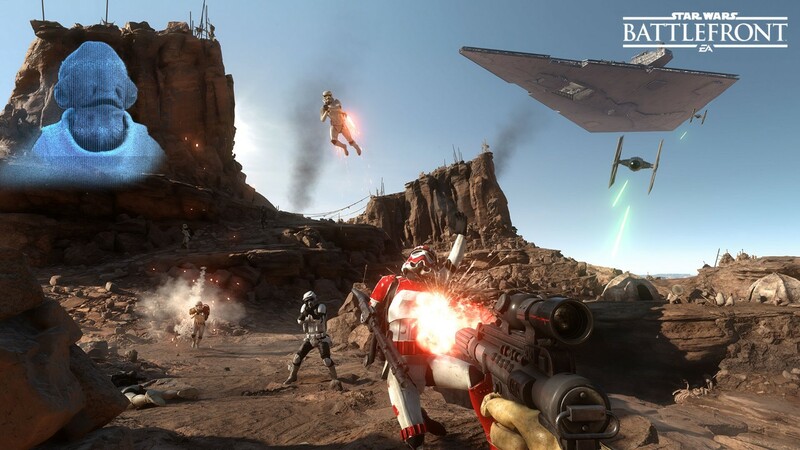 Months ago we talked about the potential of EA reinventing a very successful multiplayer franchise. This past week gamers have been giving the beta a run for there money. The beta offers a short single/co-operative survival mode mission, along with two MASSIVE multiplayer game types. First thing when logging onto the survival mode that I saw – Split Screen. Hell, yes. It’s long time game companies stop pretending that every family can afford multiple consoles and online accounts. The game also feels smooth. Killing other stormtroopers felt seamless, but it also translated into killing other players in the massive multiplayer modes. The multiplayer modes offered in the Beta pit you with a TON of people, and it is chaotic fun. I’m not particularly good at multiplayer arena games, so there are still moments where I get frustrated, and after playing the beta I never really grasped the controls of the alternate weapons. I’m already excited to keep playing this, whether I do well or not it’s fun to just jump in the middle of pure Star Wars chaos. The only real concern I have is with the single player, which isn’t featured in the beta. The multiplayer seems like it will be addictive, but maybe not Call of Duty levels of addictive. So hopefully there’s a strong campaign to keep a gamer’s attention.